Why you all like this one? "How bad is it ah? Very teruk is it?" "Ugh. How did you even pass your road test?" "OI! THIS TRAFFIC JAM IS ALL YOUR FAULT!" "You need help right? Come, come. I help you." "Ok jalan, jalan. Nothing to see. Just jalan." "The world needs to know. AVOID THIS ROAD, GUYS." "Must remember the number. Maybe it's lucky." "This one quite teruk. Confirm need at least RM3,000 to fix." "Wah. Here also can accident. Must drive extra carefully now." You should never use the emergency lane just to bypass someone or skip the traffic. It's a lane reserved for the ambulance, police, and firefighters when they're responding to an emergency situation. 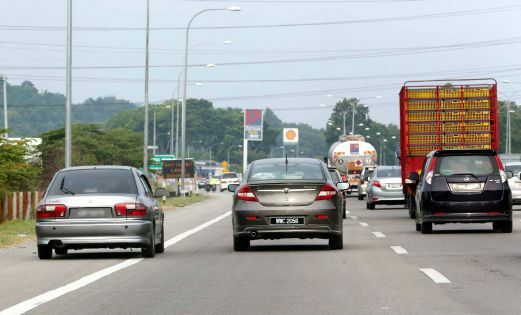 Earlier this year, it's reported that some road accident deaths were caused by drivers who hog the emergency lane. Remember to give way to the ambulance, police, and firefighters. Don't drive on the emergency lane.